MANCHESTER, NH -- (Marketwired) -- 03/27/15 -- Boston Therapeutics, Inc. (OTCQB: BTHE), a leading developer of compounds that enable people to manage their blood glucose using complex carbohydrate chemistry, has reported its financial results for the fourth quarter and fiscal year ended December 31, 2014 and provided a corporate update. Boston Therapeutics and Advance Pharmaceutical Company (APC) announced today the expansion of their sugardown® licensing agreement to Japan, a move that increases the number of Asian countries covered by the agreement to 16. Advance Pharmaceutical further reiterated its commitment to collaborate with Boston Therapeutics for funding of clinical trials for sugardown®. Upcoming product development trials are expected to include a pre-diabetes study of sugardown® at the Chinese University of Hong Kong and a U.S. Phase II study at the Joslin Diabetes Center in Boston for Boston Therapeutics’ BTI-320 candidate (a new generation of alpha glucosidase inhibitor that is designed to reduce post-meal elevation of blood glucose). On Tuesday, January 20, 2015, Boston Therapeutics, Inc. (BTHE-OTC) released additional trial results from its Sydney University study that showed consumption of sugardown® tablets prior to sugary beverages was found to significantly reduce the postprandial glucose, fructose, and insulin responses to the sugary soft drink beverage. Every subject had a reduction response. Specifically, two sugardown® tablets were found to reduce glucose and fructose levels by up to a total of 20% and insulin levels by up to 14%. Four sugardown® tablets were found to reduce total glucose and fructose levels by up to 28% and insulin levels by up to 18%. These new data, which includes fructose levels, are in addition to the topline study results that were announced earlier in January that there was an average reduction in glycemic index (GI) of approximately 10% following soft drink consumption with two sugardown® tablets. This morning, pharmaceutical company Boston Therapeutics, Inc. (BTHE-OTC) reported that the U.S. Food and Drug Administration (FDA) has accepted its Investigational New Drug (IND) filing for BTI-320, a new generation of alpha glucosidase inhibitor that is designed to reduce post-meal elevation of blood glucose. BTI-320 is expected to be taken before meals and works in the gastrointestinal tract to block the enzymes that break down and release carbohydrates into the bloodstream as glucose. With an approved IND, the company plans to start a major clinical study of BTI-320 in the first quarter 2015, as detailed in Boston Therapeutics' press release below. Following Boston Therapeutics' (BTHE-OTC) early November announcement for the launch of sugardown® branding in North America, the pharmaceutical company today informed investors that it has commenced a clinical study for sugardown® at Sydney University. 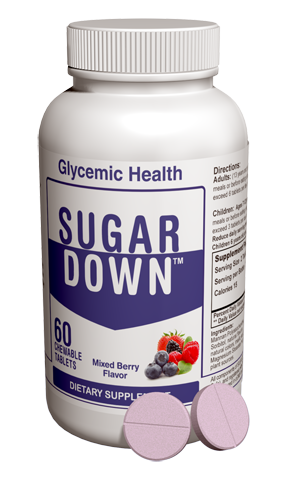 The sugardown® dietary supplement is already available over-the-counter to help individuals maintain healthy blood sugar levels. The current clinical trial is intended to further researchers' understanding of the mechanisms and effect of sugardown®, which has already been demonstrated to be beneficial when taken in conjunction with solid food. The newest study at Sydney University's Glycemic Index Research Service (SUGiRS) will be the first to evaluate sugardown®'s effectiveness with sugary beverages, and seeks to measure sugardown®'s ability to reduce glucose and insulin levels following consumption of sugary drinks like sodas. Pharmaceutical company Boston Therapeutics, Inc. (BTHE-OTC) announced this morning that Benchworks SD, LLC has launched the branding of sugardown® in North America. Boston Therapeutics is a developer of complex carbohydrate therapeutics to manage post meal blood glucose levels, and sugardown® is the company's new natural dietary supplement product that helps people maintain healthy blood sugar levels. Boston Therapeutics states that sugardown® is the first chewable tablet of its kind. It was designed for people who are committed to a balanced diet and exercise to help keep their blood sugar levels healthy. In addition to the leadership additions announced last week by Boston Therapeutics (BTHE-OTC), the company today announced that is has also appointed David S.H. Bell, MB, FACP, FACE, to its Medical Advisory Board. This increases the number of members of the Board to eight. Pharmaceutical company Boston Therapeutics (BTHE-OTC) announced this week the launch of a new commercial phase for the company's sugardown® dietary supplement to help control glucose levels. 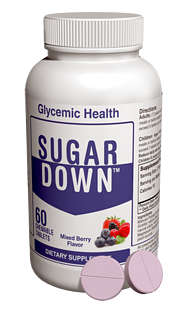 Sugardown® is presently sold over-the-counter as a non-systemic, chewable dietary supplement taken prior to meals to support healthy blood sugar and help moderate post-meal blood glucose. The product works in the gastrointestinal tract to reduce the sharp spikes in blood sugar associated with eating carbohydrate foods. Sugardown® has previously been sold over the Internet in the U.S. and by distribution partners in China, Hong Kong, Macau, and South Korea. Boston Therapeutics, Inc. (BTHE-OTCQB), a developer of complex carbohydrate therapeutics to treat diabetes and inflammatory diseases, has appointed Meng Hee Tan, M.D. to serve as its Consulting Medical Director and a member of its Medical Advisory Team. Dr. Tan is expected to help guide the Company's development of its diabetes-related treatments. Boston Therapeutics, Inc. (BTHE-OTCQB), a developer of complex carbohydrate therapeutics to treat diabetes, announced that it signed a clinical trial agreement with the prestigious Joslin Diabetes Center in Boston to be the lead clinic for the Company’s Phase III study of its candidate BTI-320. BTI-320, a new generation of alpha glucosidase inhibitor, is a non-systemic chewable tablet designed to reduce post-meal elevation of blood glucose. BTI-320 is designed to be taken before meals and works in the gastrointestinal tract to block the action of carbohydrate-hydrolyzing enzymes that break down carbohydrates into glucose and release it into the bloodstream. We have published an updated report on pharmaceutical company, Boston Therapeutics, Inc. (BTHE-OTC). The 16-page Quarterly Update covers Boston Therapeutics' financial results for the three- and six-month periods ended June 30, 2014, as well as details recent news releases and pipeline progress since the publication of our previous Quarterly Update on the company in early June. Boston Therapeutics (BTHE-OTC), a developer of compounds that address blood sugar management and inflammatory disease, has announced the signing of a strategic marketing agreement with Benchworks SD, LLC, a branding and marketing agency, aimed at increasing brand awareness and sales of SUGARDOWN®. SUGARDOWN is Boston Therapeutics’ currently marketed dietary supplement that, when taken prior to meals, supports a reduction in the post-meal elevation in glucose resulting in healthy blood sugar levels. Clinical studies conducted at the University of Sydney in Australia indicated that the consumption of SUGARDOWN prior to a high carbohydrate meal of rice resulted in lower incremental area under the curve (iAUC) measurements for glucose and insulin, indicating a reduction in post-meal elevation of blood glucose and insulin when compared with the control group. Benchworks plans to maximize brand recognition by positioning SUGARDOWN as an adjunct to diet and exercise, beyond the current intended use as a dietary supplement, to better manage blood sugar levels. Benchworks plans to take a three-pronged approach in order to broaden awareness of the potential benefits of SUGARDOWN and increase brand recognition: (1) increase awareness among people who may be at risk of developing diabetes and their caregivers; (2) create a bond with healthcare educators and nutritionists who would recommend SUGARDOWN for their patients; and (3) strengthen SUGARDOWN’s medical profile by continuing to build on new data from additional clinical trial results and new scientific findings. Boston Therapeutics, Inc., along with its Hong Kong-based strategic partner Advance Pharmaceutical Company, announced today the signing of agreement with pharmaceutical manufacturing company, Patheon Inc. This agreement is to manufacture pharmaceutical-grade tablets of BTI-320, the Company’s lead product candidate designed to reduce post-meal elevation of blood glucose. This agreement was finalized in anticipation of Boston Therapeutics’ predicted IND filing in late 2014, as well as the Company’s planned international Phase III trial for BTI-320, which could initiate in 2015. One batch of BTI-320 is expected to be manufactured within a six-month timeframe, during which all methods development, analytical, stability, and other necessary tests will be performed under the IND requirements. This afternoon, we released a 60-page Executive Informational Overview on New Hampshire-based Boston Therapeutics, Inc. (BTHE-OTC). Boston Therapeutics, Inc. (or “the Company”) develops products to address the diabetes and inflammatory disease markets using complex carbohydrate chemistry (CCC) technology. The Company’s portfolio includes two development-stage pharmaceutical candidates as well as a marketed over-the-counter (OTC) dietary supplement. The lead pharmaceutical candidate, BTI320 (formerly PAZ320), is a Phase II/III non-systemic, non-toxic, carbohydrate-based chewable tablet being evaluated as a therapy for Type 2 diabetes in patients currently taking metformin. The compound inhibits enzymes that release glucose from complex carbohydrates in foods during digestion—reducing the amount of glucose released from digested complex carbohydrates. Boston Therapeutics’ second pipeline candidate is Ipoxyn™ (and a veterinary analog of Ipoxyn™, called OxyFex™), which is a carbohydrate-based intravenous solution in development to treat hypoxic conditions caused by a lack of oxygen to living tissue, such as lower-limb ischemia stemming from severe diabetes. The Ipoxyn™ molecule, which is 5,000 times smaller than a red blood cell (RBC), works by picking up oxygen in the lungs and offloading it to tissue that has been oxygen-deprived. The Company is positioned to benefit from two simultaneous paths to market—OTC and pharmaceutical drug development. In a Phase IIa trial, BTI320 showed a 40% reduction in elevation of post-meal blood sugar with no serious adverse events. Enrollment in Phase IIb is underway, with the Company preparing for an IND filing with the FDA for a Phase III study.